Many have asked how we became in involved with Shalom Children’s Home. 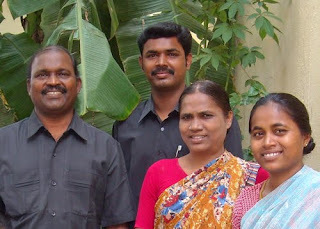 In April 2008 Karen met and stayed with Pastor Daniel and his family in Madurai in the southern Indian state of Tamil Nadu. Such a loving and humble family, they really welcomed Karen into their hearts and home, and she was able to see first hand the impact of the work they were doing to help the poor, especially widows and orphans. 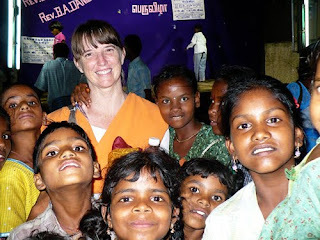 They also took her to see land they had bought in a village near Madurai where they hoped to build a children’s home and care for up to 50 orphans. Although they didn’t have the funds to build, they had the faith that God would provide what was needed and the following photos tell the story of how Shalom Home went from dream to reality.